In 2012, Barack Obama warned that the United States would fall into a depression if Ron Paul’s plan to cut $1 trillion from the federal budget were enacted. Wait, I beg your pardon. It wasn’t Obama who warned that budget cuts would lead to a depression. Romney went on to become the nominee of the self-described free-market party. An ideological rout is complete when both sides of respectable opinion take its basic ideas for granted. That’s how complete the Keynesian victory has been. The General Theory of Employment, Interest and Money, the seminal treatise by John Maynard Keynes, appeared during the Great Depression, a time when a great many people were beginning to doubt the merits and resilience of capitalism. It was a work of economic theory, but its boosters insisted that it also offered practical answers to urgent, contemporary questions like: how had the Depression occurred, and why was it lasting so long? The answer to both questions, according to Keynes and his followers, was the same: not enough government intervention. 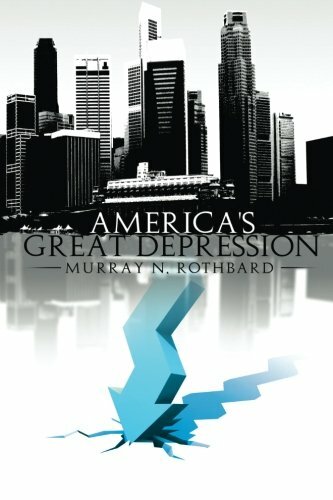 Now as Murray N. Rothbard showed in his 1963 book America’s Great Depression, and as Lionel Robbins and others had written at the time, the Depression had certainly not been caused by too little government intervention. It was caused by the world’s government-privileged central banks, and it was prolonged by the various quack remedies that governments kept trotting out. But that wasn’t a thesis governments were eager to hear. Government officials were rather more attracted to the message Keynes was sending them: the free market can lead to depressions, and prosperity requires more government spending and intervention. Let’s say a brief word about the book that launched this ideological revolution. If I may put it kindly, the General Theory was not the kind of text one might expect to sweep the boards. is a badly written book, poorly organized; any layman who, beguiled by the author’s previous reputation bought the book, was cheated of his five shillings. It is not well suited for classroom use. It is arrogant, bad-tempered, polemical, and not overly generous in its acknowledgments. It abounds in mares’ nests and confusions.… In short, it is a work of genius. 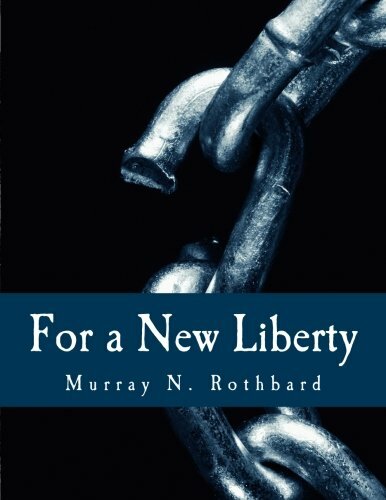 Murray N. Rothbard, who after the death of Ludwig von Mises was considered the dean of the Austrian School of economics, wrote several major economic critiques of Keynes, along with a lengthy and revealing biographical essay about the man. The first of these critiques came in the form of an essay written when Murray was just 21 years old: “Spotlight on Keynesian Economics.” The second appeared in his 1962 treatise Man, Economy and State, and the third as a chapter in his book For a New Liberty. The third element was his deep hatred and contempt for the values and virtues of the bourgeoisie, for conventional morality, for savings and thrift, and for the basic institutions of family life. We entirely repudiated a personal liability on us to obey general rules. We claimed the right to judge every individual case on its merits, and the wisdom to do so successfully. This was a very important part of our faith, violently and aggressively held, and for the outer world it was our most obvious and dangerous characteristic. We repudiated entirely customary morals, conventions and traditional wisdom. We were, that is to say, in the strict sense of the term, immoralists. In economics, Keynes exhibited the same kind of approach he had taken toward philosophy and life in general. “I am afraid of ‘principle,’” he told a parliamentary committee in 1930. That, of course, is the attitude of anyone who craves influence and the exercise of power; principle would only get in the way of these things. The General Theory broke down the world’s population into several groups, each with its own characteristics. Here Keynes was able to vent his lifelong hatreds. Then there was a subset of consumers, the bourgeois savers, whom Keynes especially despised. In the past, such people had been praised for their thrift, which made possible the investment that raised living standards. But the Keynesian system severed the link between savings and investment, claiming that the two had nothing to do with each other. Savings were, in fact, a drag on the system, Keynes said, and could generate recessions and depressions. Thus, did Keynes dethrone the bourgeoisie and their traditional claim to moral respectability. Thrift was foolishness, not wisdom. And now we arrive at a fourth and final group. This group is supremely rational, economically knowledgeable, and indispensable to economic stability. This group can override the foolish decisions of the others and keep the economy from falling into depressions or inflationary excess. You probably won’t be shocked to learn that the far-seeing wizards who comprise Keynes’s fourth group are government officials. 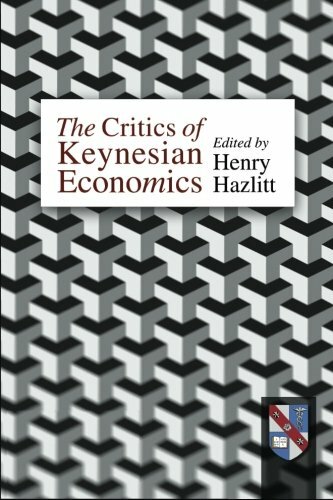 To understand exactly what Keynes expected government officials to do, let’s say a brief word about the economic system Keynes developed in the General Theory. His primary claim is that the market economy is given to a chronic state of underemployment of resources. If it is not to descend into and remain mired in depression, it requires the wise supervision and interventions of the political class. Again, we may safely reject the possibility that the political classes of the Western world embraced Keynesianism because politicians had made a profound study of the works of Keynes. To the contrary, Keynesianism appealed to two overriding motivations of government officials: their need to appear indispensable, and their urge to wield power. Keynesianism dangled these ideas before the political class, who in turn responded like salivating dogs. There wasn’t anything more romantic or dignified to it than that, I am sorry to report. Keynesianism could not account for the stagflation, or inflationary recession, that the U.S. experienced in the ’70s. It was supposed to be the role of the Keynesian planners to steer the economy in such a way as to avoid the twin threats of an overheating, inflationary economy and an underperforming, depressed economy. During a boom, Keynesian planners were to “sop up excess purchasing power” by raising taxes and taking spending out of the economy. During a depression, Keynesians were to lower taxes and increase government spending in order to inject spending into the economy. But in an inflationary recession, this entire approach had to be thrown out. The inflationary part meant spending had to be reduced, but the recession part meant spending had to be increased. How, Murray asked, could the Keynesian planners do both at once? They couldn’t, of course, which is why Keynesianism began to wane in the 1970s, though it has made an unwelcome comeback since the 2008 financial crisis. Murray had dismantled the Keynesian system on a more fundamental level in Man, Economy, and State. He showed that the relationships between large economic aggregates that Keynesians posited, and which were essential to their system, did not hold after all. And he exploded the major concepts employed in the Keynesian analysis: the consumption function, the multiplier, and the accelerator, for starters. The errors of Keynes have empowered sociopathic political classes all over the world and deprived the world of the economic progress we would otherwise have enjoyed. Japan is a great example of Keynesian devastation: the Nikkei 225, which hit 38,500 in 1990, has never managed to reach even half that level since. A quarter century ago the index of industrial production in Japan was at 96.8; after 25 years of aggressive Keynesian policy that gave Japan the highest debt-to-GDP ratio in the world, the index of industrial production is…still 96.8. The United States, meanwhile, has had sixteen years of fiscal stimulus or preposterously low-interest rates, all of which Keynesians have cheered. The result? Two million fewer breadwinner jobs than when Bill Clinton left office. No amount of stimulus ever seems to be quite enough. And when the stimulus fails, the blinkered Keynesian establishment can only think to double down, never to question the policy itself. 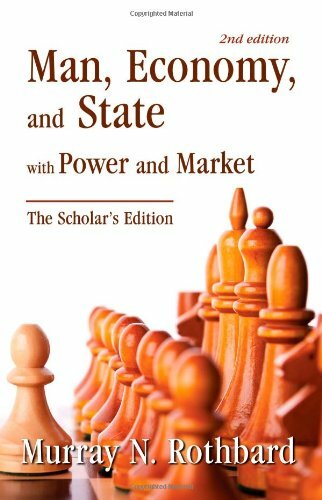 But there is an alternative, and it’s the one Murray N. Rothbard and Ludwig von Mises championed: the Austrian School of economics and its analysis of the pure market economy. Against the entire edifice of establishment opinion, the Mises Institute stands as a rebuke. To the dissidents, to the intellectually curious, to those inclined to be skeptical of so-called experts who have brought us nothing but ruin, the Mises Institute has been a beacon. We have trained an entire generation of Austrian scholars, journalists, and financial professionals. We put in the hard work so that when a catastrophe like the 2008 crisis occurred, an Austrian response was ready. But with your help, we can do so much more. The Keynesians are pretending they have everything under control, but we know that’s a fantasy. An even greater opportunity than 2008 awaits us, and we want to help guide public opinion and train a cadre of bright young scholars for that day. With your help, we can, at last, awaken from the Keynesian nightmare. As the Korean translator of an Austrian text put it, “Keynes must die so the economy may live.” With your help, we can hasten that glorious day. Can You Come Back From the Dead?